Drawn from a 150-piece collection held by the same family since the end of the 19th century, the prints on sale feature portraits, landscapes, and daily-life scenes. Artcurial, a multidisciplinary auction house based in Paris, is renowned for its strong expertise in Asian art, and this auction is no exception. The far Eastern art form of Ukiyo-e entranced European painters when Japan opened its doors to the outside world. Its dynamic use of perspective, solid colours and original aesthetics influenced the work of Degas, Monet, Van Gogh, Whistler, Frank Lloyd Wright… to name but a few. Why wouldn’t you own a piece of art history and become a modern-day “Japonist”? 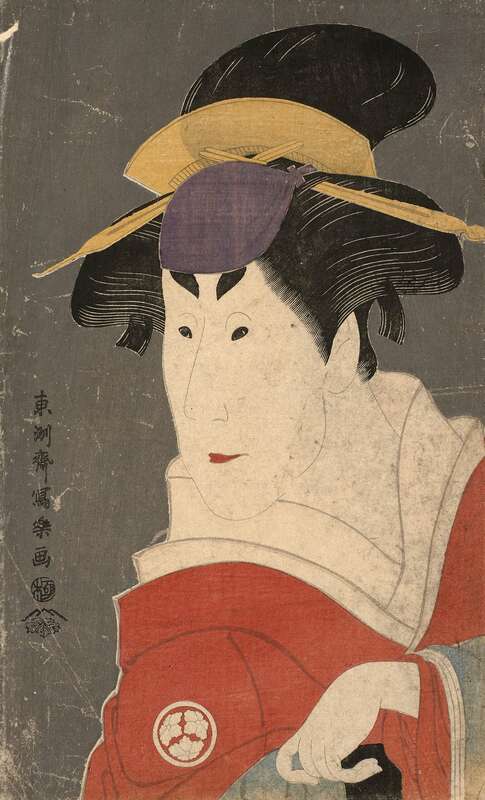 Kabuki theatre and its intense expressivity was a great source of inspiration for the Japanese print makers. Just glimpse at the portrait of actor Osagawa Tsuneyo by Toshusai Saraku to be swept away by its commanding yet playful pose. It is estimated between €60,000 and €80,000 – definitely the most coveted piece of the sale. Love in all its shapes and forms is another favourite topic, with entire books dedicated to the study of this emotion! 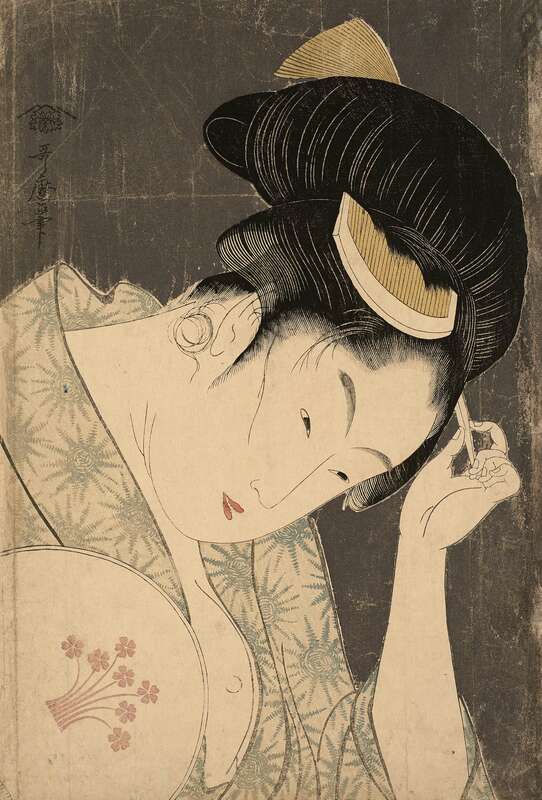 Step into a world of seduction and pale-skinned courtesans with a delightful Kitagawa Utamaro print estimated between €10,000 and €15,000. Interested in more affordable picks? 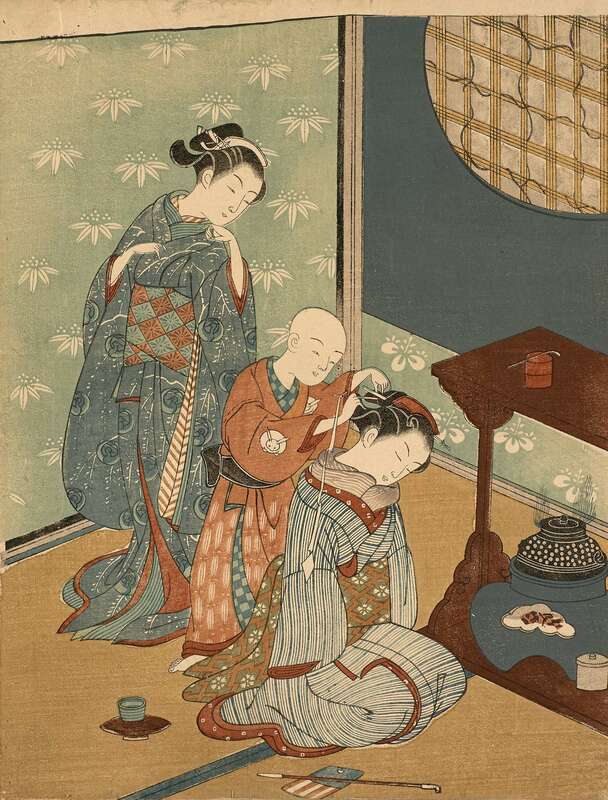 Look no further than Suzuki Harunobu’s depiction of the private life of geishas. Starting at €5,000-6,000, it is a print worth considering. See you soon in the “Land of the Rising Sun” on Barnebys!